Every student needs a good backpack and every parent need their teen to have a backpack that keeps them organized and will be durable. Grown and Flown put together a list of their favorite backpacks that won’t break the bank and will help your student feel ultra organized. 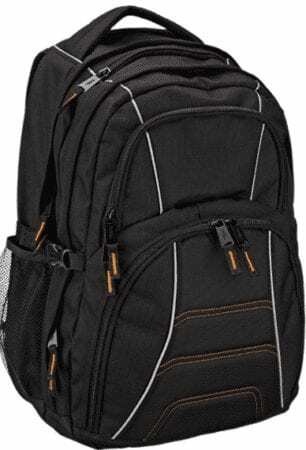 This super sleek backpack from earth-pack is great for all your college student’s adventures, will get them to class and can double as hiking or camping gear. It’s super durable, and with a top that rolls down, there’s no chance anything will get wet — it even includes a waterproof phone case. I know my son pretty much only needs to bring his laptop to school these days. This KOPACK backpack is perfect for that. It’s lightweight, he loves the look of it, and it’s tear and water-resistant which is perfect for filling with snacks and drinks when he goes biking with his friends. The Icon Slim Backpack from Incase Designs is a bit of a splurge at just under $150.00. It’s has a modern look, comes in an array of color and features a faux lined laptop compartment. Your college student can carry around all of the essentials without the bulk with this backpack. The Quad Pack from L.L. Bean gets the top nod from the New York Times Wirecutter as best backpack for high school and college students for the second year running. It is sleek and has lots of pockets for everything your student needs to schlep around with them. It’s water-resistant, long-lasting and can also double as a weekender. It also features “Ergonomically shaped, padded shoulder straps with carabiner loops” for comfort. If you are looking for a basic backpack that won’t break the bank, the Amazon Basics Backpack is where it’s at. For $30 it holds a laptop, and more than enough compartments to keep your teen organized. This backpack from L.L. Bean is a big one that can hold everything your student needs for high school and college. It’s has a laptop holder, two side pockets for water bottles, and organizer to keep everything handy and is 20% larger than most backpacks. It’s designed for comfort and is waterproof. and bonus: Parents can thank L.L. Bean for designing a backpack that will last through the years. Perhaps your scholar does a lot of traveling or is going to spend a semester abroad. If that’s the case, you are going to want to make sure they have this backpack from Hynes Eagle. It’s approved for hands-free carry on, comes in lots of fun colors and has enough storage to allow your child to pack all they need for a trip. Because hello, sometimes we just want to be fancy. My daughter is at the age where she needs a backpack, but has been into carrying a purse, too. This Leather backpack is sleek, fashionable and goes with anything. While it may not be practical for school, it’s a great alternative to a handbag and she can be hands free while shopping and hanging out with her friends. Also, I’ve been know to borrow it on occasion. is worth consideration for both school or travel. From $30 to under $150, there are plenty of backpacks to choose from. 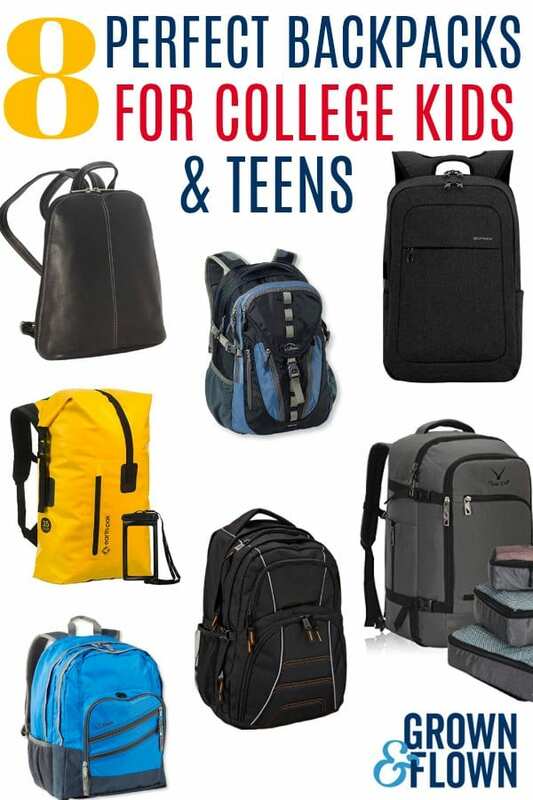 These are great choices to keep everything your teen needs in one place.